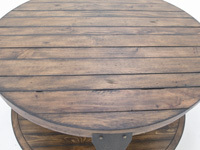 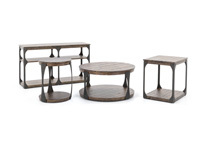 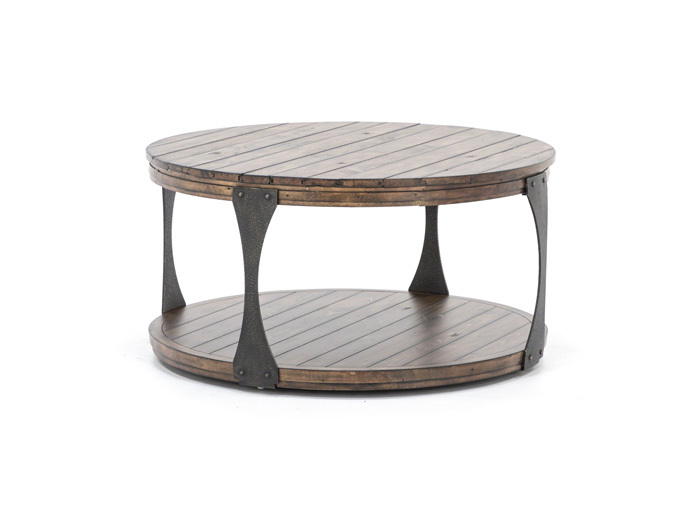 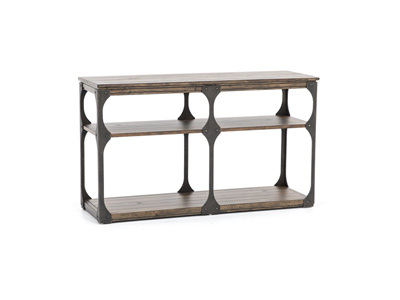 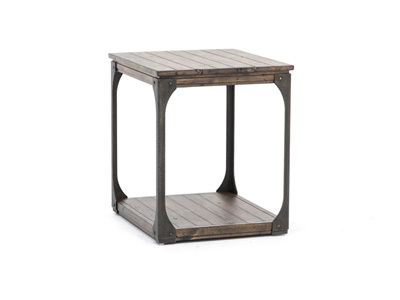 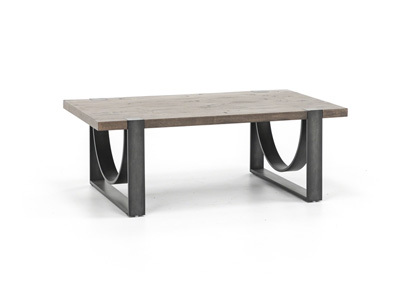 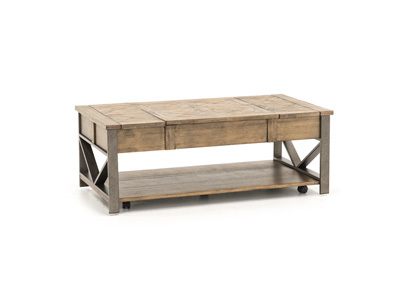 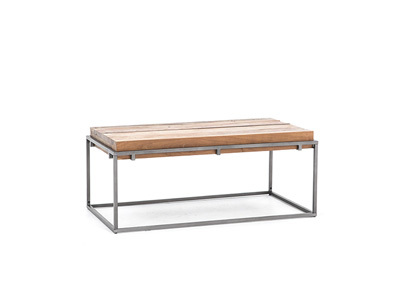 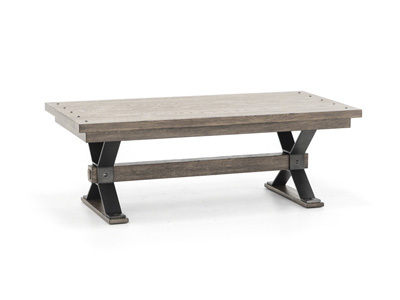 Aged iron accents the reclaimed wood of the Montgomery table collection. 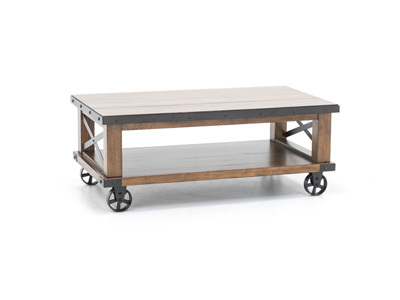 The Montgomery is perfect for an urban dwelling to a rustic lodge. 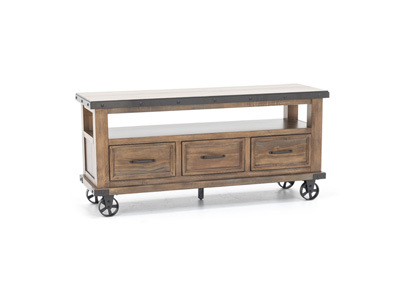 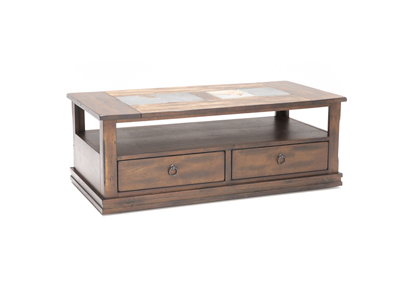 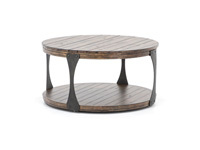 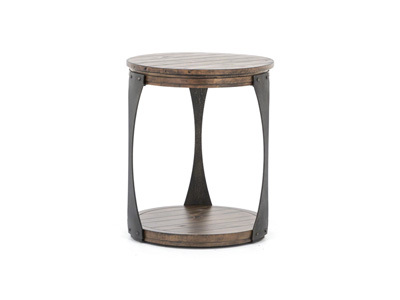 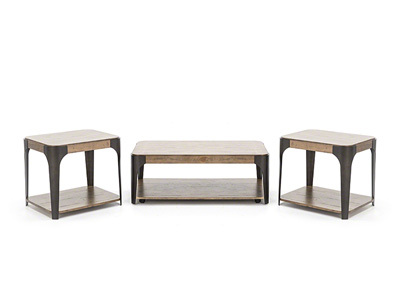 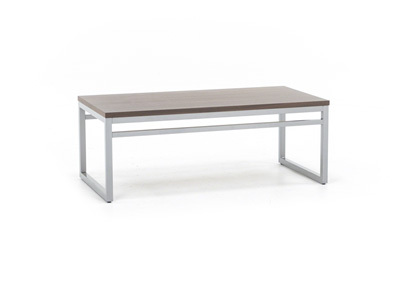 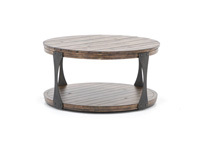 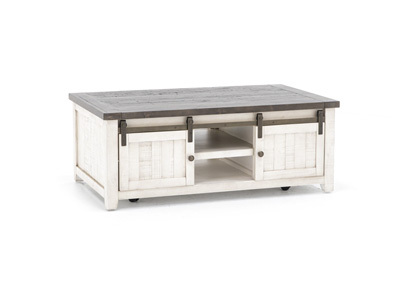 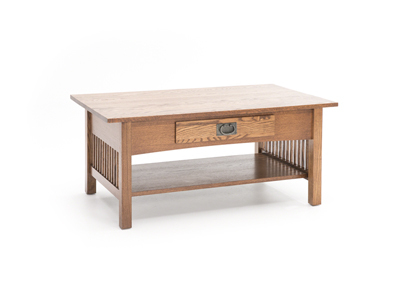 This cocktail table features casters for ease of movement and a fixed lower shelf.